When you need electrical repairs, equipment installation or other electrical system services, your best bet is to trust the job to an experienced electrician who will see that the job gets done safely and correctly. Electricity is one area where inexperience and the trial-and-error it brings can be dangerous. To help ensure that your Hendersonville-area home or business’s electrical system functions safely and effectively, we offer a complete lineup of high-quality electrical services. 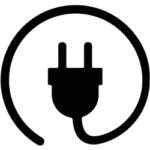 Electricity is critical to your home or business. With so many comforts and conveniences dependent on this form of power, you’ll feel much better knowing you have a reliable electrical expert standing by to provide fast, efficient repairs when you need them. You’ll also appreciate knowing you have a competent electrical contractor nearby when you plan to build, remodel or upgrade your outdated electrical equipment. Whether you need electrical repairs, upgrades or new construction installation, contractor expertise and craftsmanship are paramount. That’s why you’ll want to choose an electrician from Nicholson Company to handle your next electrical project or service. Residential or commercial, your job is safe with our meticulous technicians. Whether you need new construction wiring and electrical system design, an electrical system upgrade, electrical repairs, or fixture, breaker or fuse replacement, the electrical experts at Nicholson Company have you covered. Call our office today for a free consultation or to schedule your next job. Find out why your Hendersonville, NC, neighbors trust all their electrical projects to us.